Bergen is a mountainous, sea-facing port city located on the west coast of Norway. Known for its beautiful, rugged mountain surroundings, the city has been nick-named “the city of seven mountains”. 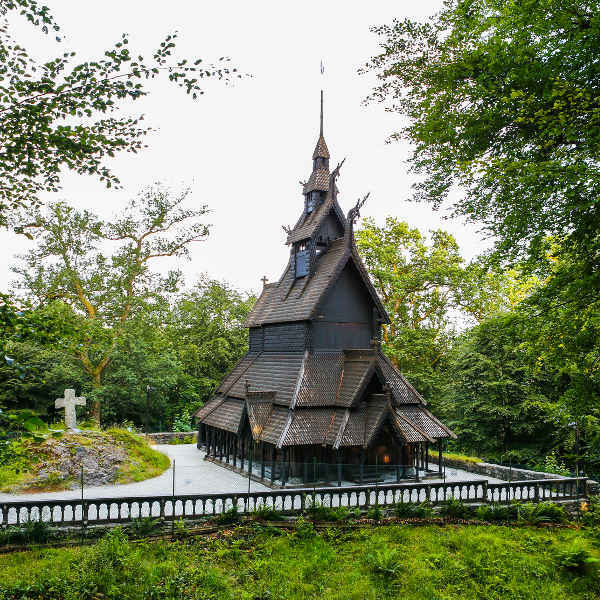 As the former capital, Bergen has much to offer in terms of history and culture, and is a popular entry point to access Norway’s famous fjords. 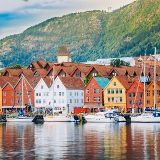 Cheap flights to Bergen are now available for a limited period of time, so book your flight today and experience the natural beauty and historic charisma of this charming city! 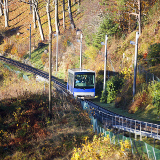 Bergen is home to Bergen Airport (BGO), located 20 minutes from the city centre by car. Bergen is surrounded by majestic local mountains, known locally as ‘the seven mountains’. Take a local walk or hike in one of these incredible natural surroundings, and enjoy stunning panoramic views of the city from above. Once the capital city of Norway, Bergen has a regal and historic air about it, presented perfectly in its preserved Nordic and Hanseatic architecture, as well as its local monuments and delightful museums and exhibitions. In addition to the incredible surrounding mountains, Bergen is known in Norway as the gateway to the breath-taking Norwegian fjords. 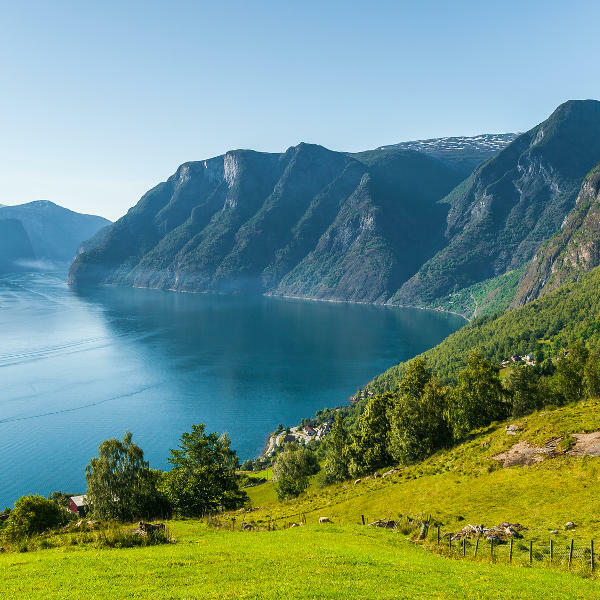 Go on a day trip to the local fjords, or even take a guided cruise along the waters of these natural wonders. Norway experiences a temperate oceanic climate, resulting in cool summers, mild winters and year-round precipitation. Due to its mountainous location, the city experiences far less extremes in temperature than the rest of Norway. The month of May brings the lowest level of precipitation to the city and, combined with local events and festivals that take place, is the ideal time to go. The summer months of June, July and August are the next best time to visit, as temperatures are at their warmest and sunny days draw local crowds into the streets and sidewalks to enjoy a cup of coffee and a bite to eat. If you would rather see the city for less during its quietest period, then consider going during the quiet autumn months of September, October and November, when school holidays are over and tourism rates drop before shooting up again in December. Bergen is a historic city located on the west coast of Norway, facing the North Sea and surrounded by mountains, earning it the nickname the “city of seven mountains”. Once Norway’s capital city in the Middle Ages, Bergen served as an important port of Norwegian trade, controlling the country’s exports, before it was replaced by Oslo in the 1800s. Remnants of the old capital can still be found in Bryggen, a series of colourful, restored Hanseatic buildings facing the harbour, which has been declared a UNESCO-World Heritage site. Other points of interest in Bergen include the bustling market square where visitors can browse the local stalls selling their wares, the Bergen Open-Air Museum which recreates architecture and lifestyle from the 18th century and Fløyfjell, a 1047 ft high mountain peak which offers breath-taking panoramic views of the city and its surrounds. 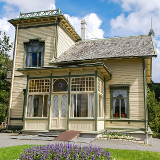 Bergen is also known for its celebration of the arts: the annual Bergen International Festival, taking place from May to June, offers opera, orchestra, ballet and jazz performances, and is an absolute treat if you are in Bergen during the festivities. Compare multiple airlines and book cheap flights to Bergen with Travelstart! Norway enjoys an extremely low level of crime and is thus an extremely safe country to visit. Be on the alert, however, for pick-pockets and petty thieves looking for luggage and valuables to steal. The biggest threat Norway can pose to visitors is its extreme weather conditions. Winters in Bergen can drop to -10 degrees, so ensure you pack warm enough clothing if you plan to visit the city in winter. 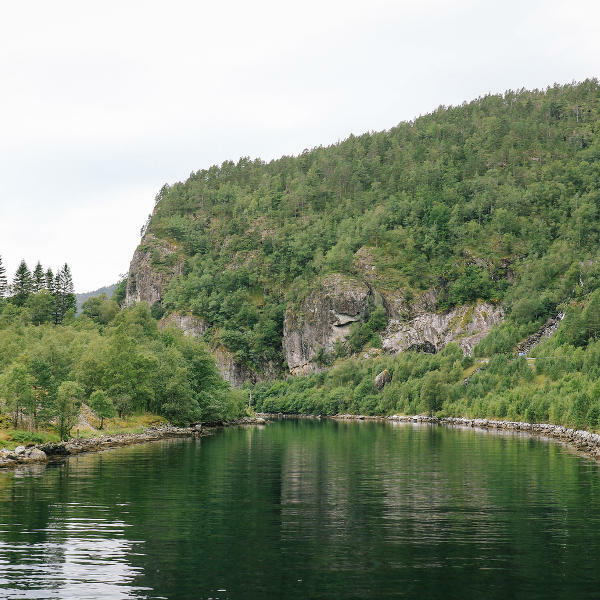 Summer seasons can bring high levels of pesky mosquitos and midges, especially in mountainous regions like Bergen. Ensure you pack mosquito repellent. If you plan to take any local walks or hikes, plan your excursion carefully, as daylight (particularly in winter) can be short, and you do not want to be stuck on the mountain after dark with poor lighting! Always tell your hotel where you will be hiking, and the estimated time you plan to return so, if in the event anything goes wrong, a search party can rescue you. Although small, Bergen offers extensive hearty accommodation for travellers looking to experience Scandinavian hospitality! Due to the city’s small size, the main accommodation district in Bergen is the lively neighbourhood of Bryggen. Guests will be within walking distance to the local harbour where local restaurants can be found. Bryggen is also a popular area for nightlife and houses the majority of the city’s pubs, bars and its few nightclubs. Trendy hotels are also available in the bustling city centre with its cobbled streets, tucked-away corner shops and cafes. The easiest way to get around Bergen is on foot. The city centre can be walked on foot within an hour and local attractions are all within walking distance to each other. The city of Bergen operates an extremely efficient bus service, with buses following mapped routes around the city. Most signboards and stops are written in Norwegian, but you should have no trouble finding a friendly local who will be willing to translate for you. A light metro rail runs from the north of the city to the south and is easily accessible. As with the bus routes, train signs are all in Norwegian, but locals are always willing to assist travellers with direction and translation. During the weekend rails operate at all hours of the night, departing every 30 minutes. Taxis are available in Bergen, but are extremely expensive. Most taxi drivers speak English, and are extremely reliable and trustworthy.